Farmers are using ever-larger machines to perform at high-load capacities while maintaining low pressures in the field. The Michelin CerexBIB 2 with IF and VF CFO+ designations are said to innovatively push the load and pressure limits for combine harvesters and other large harvesting equipment. CerexBIB 2 is available now in nine front sizes and seven rear sizes. Michelin’s CFO+ technology offers a second and lower six miles-per-hour cyclic loading table over the standard CFO of one 10mph cyclic loading table. Farmers could gain up to a 10% improvement in load-carrying capacity at the same pressure, or the option of carrying the same load at lower pressures to maximize floatation and traction and minimize soil compaction. Michelin designed and tested these tire innovations in collaboration with leading equipment manufacturers. The CTIS-enabled CerexBIB 2 tire is engineered to ensure optimal harvest time despite soil conditions. The CerexBIB 2 CFO+ provides up to 35% more load capacity at the same pressure versus leading competitors. The tire runs at the lowest pressures in the market; in fact, the CerexBIB 2 may run as low as 17psi while carrying a load of 21,740 lb. The tire’s contact patch expands up to 35% which is designed to reduce soil compaction and protect the soil for future harvests. “Today’s farmers are using progressively larger machinery but must manage both load capacity and soil compaction,” said David Graden, Michelin North America agriculture operational marketing manager. 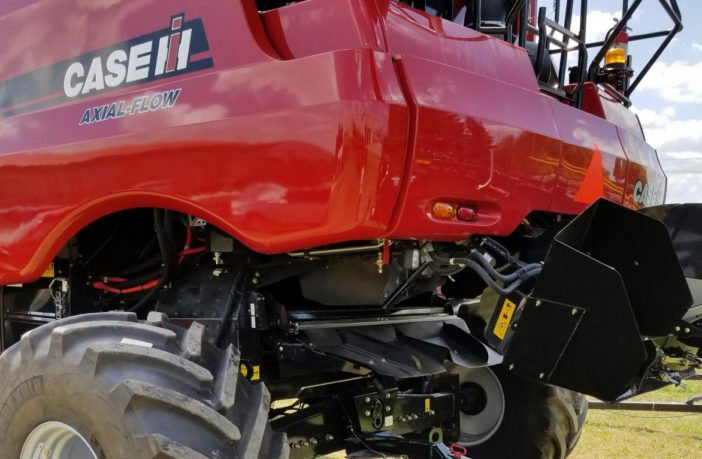 The tire tread is designed to increase traction and fuel savings and improve safety – key benefits for farmers who want to achieve shallower ruts and less soil compaction while they harvest the crops. The CerexBIB 2 tire incorporates Michelin Ultraflex IF and VF technology, which offers the best load capacity in its class, low ground pressure and very high levels of traction in the field. The CerexBIB 2 offers fuel savings up to 10%, and can contribute to increased crop yields.